I am hoping though that blogger provides us the same service especially those who buys their own domain name. :) It would be a nice Valentine's Day gift! No, I didn't cut my hair. That's just how the front part looks like when I use a straightening iron on it. :) It won't look that neat if I literally have all my locks chopped off. 3. Easy to remove but may leave some stain. 4. Easy to use once you've had enough practice. 1. May cause some application problem to those who are not use to eyeliner. 2. 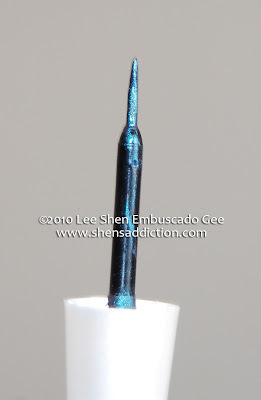 Some may not like the patent/shiny finish of this eyeliner. 1. slighty pull the temple, close eyes and follow the upper lashline. 2. 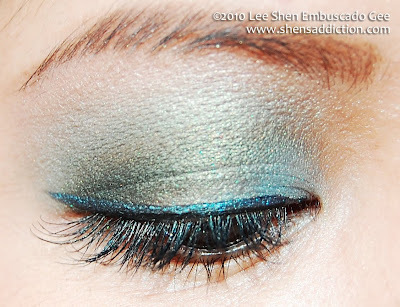 To add wings, simply extend outward from the edge of upper lashline. 3. Keep makeup remover and q tips near. Shoot me, please. I neglected to write down what I used but its basically those mineral makeup samples i have laying around my stash. 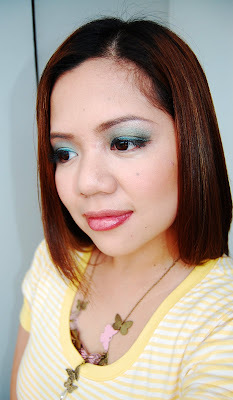 You can definitely recreate this using green shimmery eyeshadows and defining it with a dark green eyeshadow on the outer V.
I just can't get over the lighting in our balcony. Major l-o-v-e.
What a stunning colour! You've gotta love the Shu foundation too! 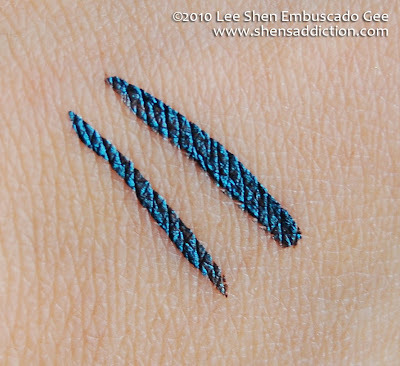 My first liner was a liquid liner and seeing your swatch makes me want to go back to it! 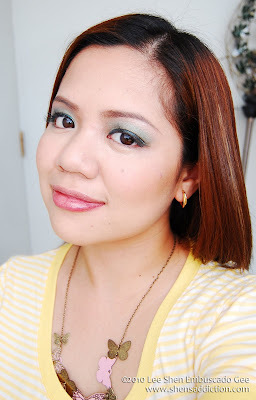 :) i love your FOTD so fresh !! So pretty! 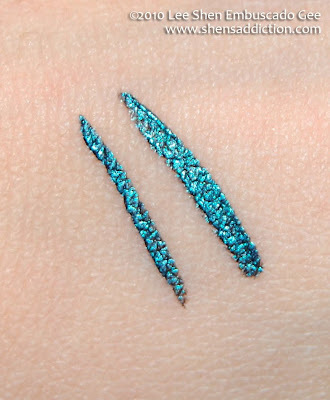 wow, the color of the liquid liner is sooo pretty and a great alternative for the usual black. I agree nice FOTD. 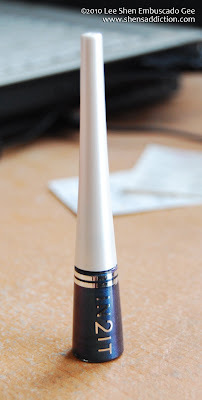 And I want to pick up that eyeliner now..too bad I never bought it during sales!! 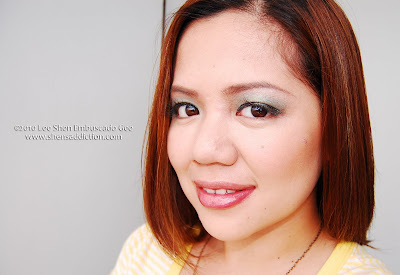 That eyeliner looks nice, although I rarely ever wear anything else on my lids aside from black and brown. such a pretty color! love it.